Skitch. A Man and His Music. Computer Music Journal. Volume 23, Number 2. Winter 1999. "Compositional Processes". Computer Music Journal. Volume 23, Number 3. Fall 1999. "Recent Research at IRCAM". Computer Music Journal. 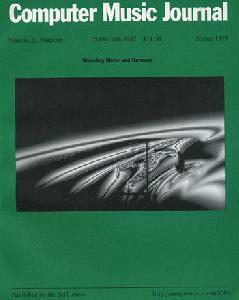 Volume 23, Number 4. Winter 1999. 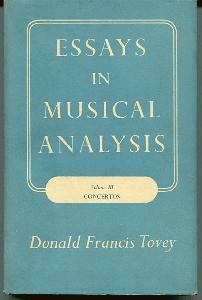 "Tonal Analysis and Genetic Techniques". Computer Music Journal. Volume 22, Number 3. Fall 1998. "Physical Modeling of Musical Instruments". Computer Music Journal. 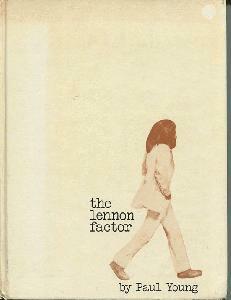 Volume 23, Number 1. Spring 1999. "Modeling Meter and Harmony". Coven, Brenda, Christine E. King, and Donna M. Albertus. David Merrick and Hal Prince. An Annotated Bibliography. 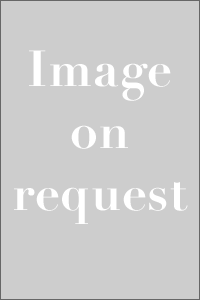 Browning Music: A Descriptive Catalog of the Music Related to Robert Browning and Elizabeth Barrett Browning in the Armstrong Browning Library: 1972. Opera Caravan: Adventures of the Metropolitan on Tour 1883-1956. The Office of the Holy Communion as Set by John Merbecke. Gatti, Carlo. Translated by Elisabeth Abbott. Verdi, The Man And His Music. 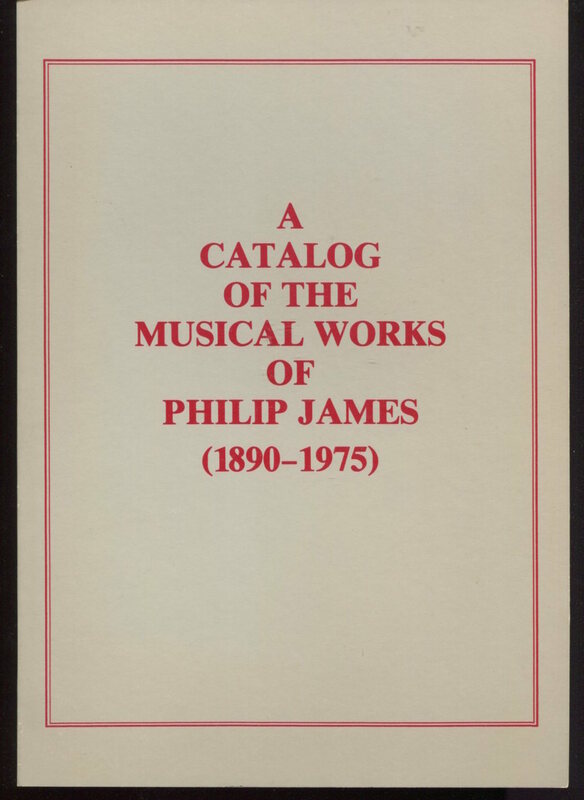 A Catalog of the Musical Works of Philip James (1890-1975). The Organ Handbook. Structure, Design, Maintenance, History, and Function of the Organ. Translated by Gerhard Krapf. A Checklist of European & American Fifes, Piccolos, & Transverse Flutes. A Checklist of European & American Flageolets, Recorders & Tabor Pipes. 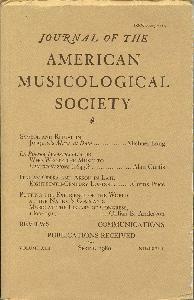 Journal of the American Musicological Society. Spring 1989. Settling the Score: Essays on Music. Jazz Cleopatra: Josephine Baker in Her Time. The Mirror of Music 1844-1944. 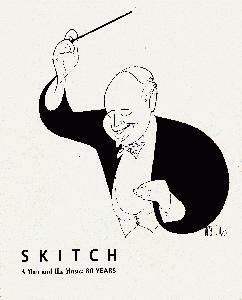 A Century of Musical Life in Britain as reflected in the pages of the Musical Times. Two Volumes. Sutherland, Joan and Richard Bonynge, Compilers. Tabulated Biographical History of Music. 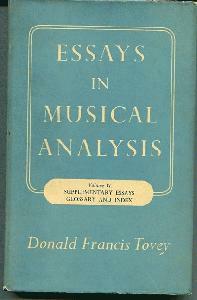 Essays In Musical Analysis. Volume III Concertos. Red Plush and Black Velvet: The story of Melba and Her Times. SHIPPING IS BY U.S. POST OFFICE. In U.S. via Media Mail: first book $3.50, each additional book $1.50. 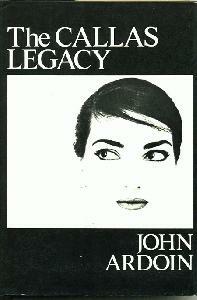 Or via Priority Mail (by request): first book $5.50, each additional book $2.50. NY State residents add 8 1/2% sales tax. FOREIGN postage is at cost. We ship via surface mail, unless requested otherwise. Foreign buyer assumes liability for loss or damage unless insured.